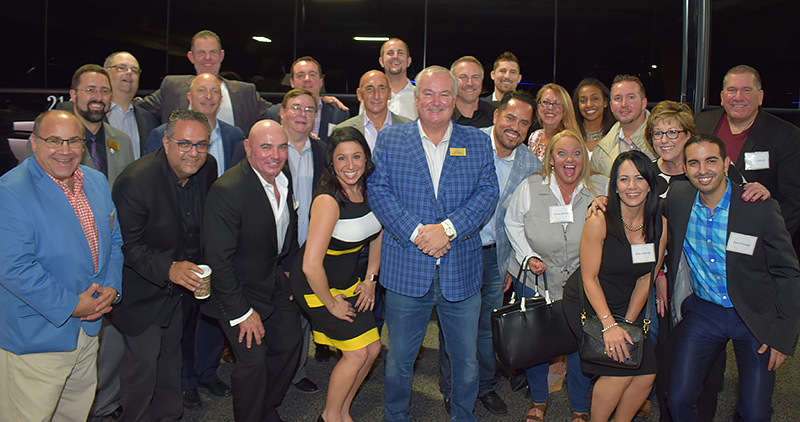 Dallas — It was an industry wide affair when Premier Transportation held an open house November 15 to celebrate the grand opening of its new location. With upward of 30 national operators coming in from all over the country, visits from local affiliates, a number of vendors making the trip out—including representatives from Grech Motors, which sponsored the event—and scores of clients dropping by throughout the day, owner Eric Devlin estimates that 250 guests helped the Premier team celebrate their newest Texan home right in the heart of Dallas’ uptown Hospital District. 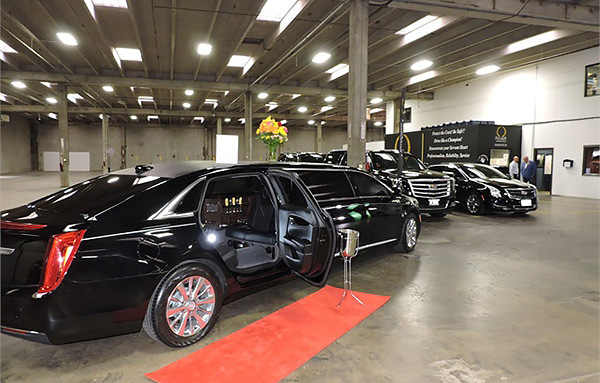 But the story really begins two or three years ago, when Devlin realized that neither a corporate office that only offered surface parking nor continually renting out space made for a tenable long-term arrangement for his company and the motorcoaches in his fleet. Members of the transportation industry came out in droves to attend Premier’s November 15 open house. A two-year search was followed by some repairs and remodeling once Devlin found the 44,000-square-foot former manufacturing facility that sits atop more than two acres of land: With its ample space for maneuvering buses and coaches, plus a prime location that allowed for both garage and office space, it was a perfect fit. And within just a couple of months, the renovated building was ready for the Premier family to throw open its doors for a welcome reception. In addition to having three minicoaches by Grech and some Mercedes-Benz Sprinters by First Class Customs on display, the open house also presented an opportunity for Premier to reconnect with its extended family and make sure that affiliates, vendors, and clients alike were able to put faces to the names they’ve been working with and enjoy some in-person conversation. Premier’s owner Eric Devin addresses the event’s attendees Devlin credits Director of Global Sales Lori Clark, Facilities Manager Todd Davis, Marketing and SEO Director Shelby Harris, and Associate Sales Kristi Walker for going above and beyond to ensure that the day was a success that brought the whole Premiere family together. Drawing on Walker’s DMC and planning background, plus relying on Clark and Harris to manage the guest list and other logistical moving parts while Davis “made the building look great,” Devlin knows that his entire team “worked tirelessly” to make it all come together spectacularly. Affiliate Manager Jami Crouch added that being able to host an event while also maintaining the daily tasks that keep the company running added to the positive impression that Premier’s guests got from the day. The garage at Premier’s new facility. Having the visible support of the industry behind them as the Premier team celebrated its newest milestone was the icing on the cake. “Having so many of our affiliate partners come from all over the U.S. to support us as we opened a new facility by just being there for us and celebrating with us was such an incredible feeling and such a wonderful thing to be a part of,” Crouch added. Now that life has settled back into a more day-to-day routine, Devlin is pleased with the new location’s convenient proximity that puts his company within five minutes of the downtown scene, 10 minutes from the city-owned public airport Love Field, and 20 minutes from DFW.